Give in to the Dark Side with this Star Wars Emperor Palpatine ArtFX+ Statue. As seen in Star Wars Episode VI: Return of the Jedi, Emperor Palpatine is sculpted in detail from his calculating face to the creases in his robe. 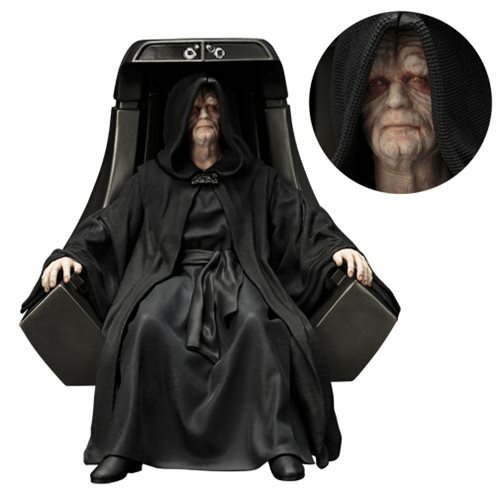 Sculpted in 1:10 scale, Emperor Palpatine can also be removed from his throne. The statue measures about 5 3/4-inches tall, made of PVC, and comes packaged in a closed box. Ages 15 and up.